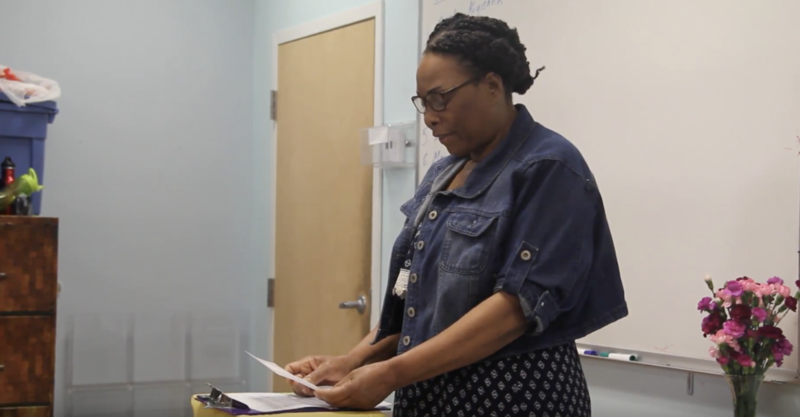 This class session, students in Howard Area Community Center’s ESL 5 class participated in a transformative collaboration between HACC and the Community Writing Project. Students wrote personal stories in English and shared them with their classmates– not only enhancing their English writing and speaking skills but creating bonds between students from different backgrounds and empowering themselves. The stories and lives of low-income adults, refugees, and immigrants matter and we all need to hear them! Give their stories a listen below, and read them in the Community Writing Project’s publication real conditions. Share with family and friends today! Endless thanks to writers and mentors Janise and Wendy for working with ESL 5 students in this workshop. You changed lives! Interested in this workshop for yourself or your classroom? Read more about it! The CRP is part of the Chicago Literacy Alliance. *The authors that did not consent to publicly sharing their stories were committed from the booklet published in this blog post, but not the booklet from the workshop.